A varactor diode is one kind of semiconductor microwave solid state device. A varactor diode is a PN junction diode whose capacitance is varied by varying the reverse voltage. These diodes are also named as varicap diodes. 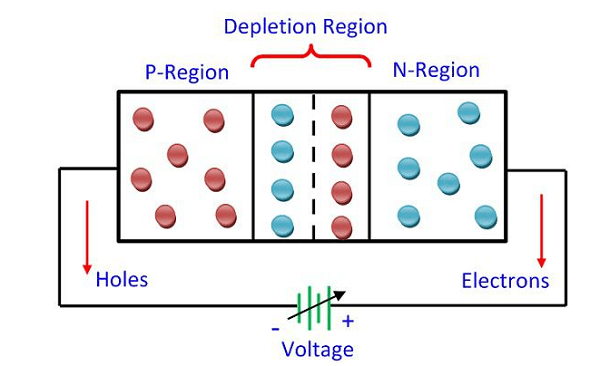 A varactor diode is specifically fabricated and optimized such that they permit a high range of changes in capacitance. Before we learn about varactor diode first let we understand the topic of the capacitor. A capacitor is an electronic component that stores electrical energy or electronic charge in the form of an electric field. The basic capacitor is made up two parallel conductive plates separated by a dielectric. 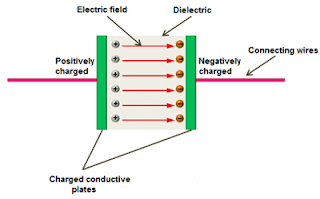 The two conductive plates act like electrodes and the dielectric act like an insulator. This capacitor, the voltage-dependent device means the output of the diode depends on their input voltage. The varactor diode is used in a place where the variable capacitance is required, and that capacitance with the help of the voltage. 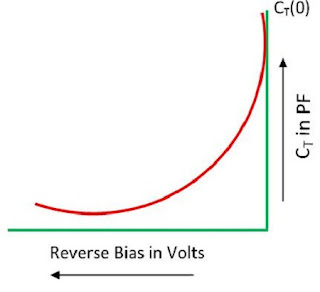 This diode also called as voltcap, varicap, voltage variable capacitance or tuning diode. Here first show the figure of the capacitor. In general, it looks like or similar to that a normal PN junction diode in which one terminal is termed as the cathode and the other terminal is termed as an anode. Here the varactor diode consists of two lines at one end cathode end of normal diode that indicates the capacitor symbol. The one end of a symbol consists of the diode and their other end has two parallel lines. 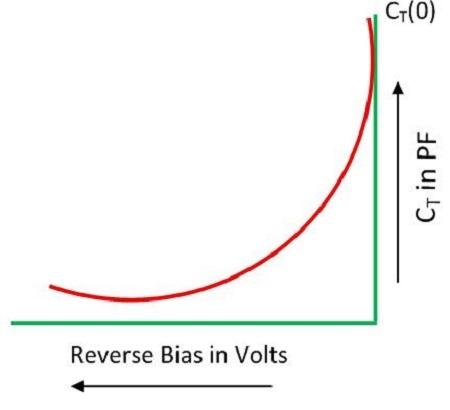 We know that the capacitance of the capacitor is directly proportional to the region of the terminals as the region of the terminals increases the capacitance of capacitor increases when in this mode diode is in the reverse bias mode. 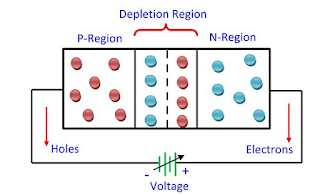 The varactor diode is basically made for n-type and p-type of a semiconductor. 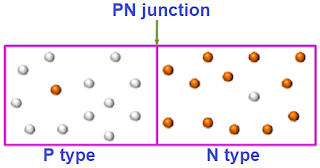 In n-type semiconductor material the free electrons are the majority carriers while in holes are minority carriers but in p-type of semiconductor holes are the majority carriers and free electrons are the minority carriers. 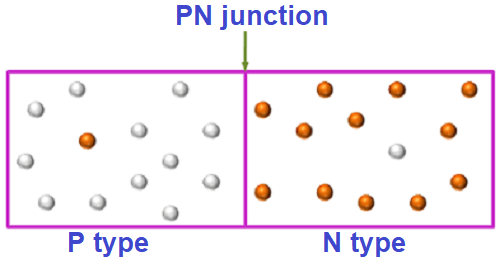 So here when p-type and n-type material are joined together or contact them the PN junction.